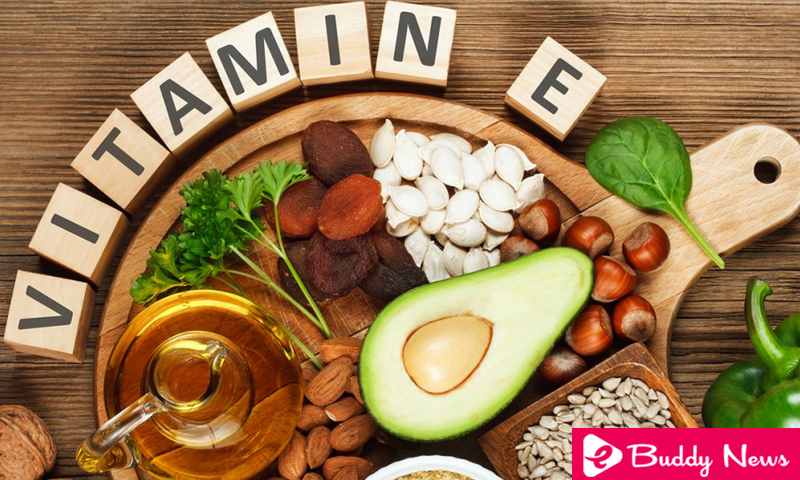 In this article we talk about the properties and importance of vitamin E and whether supplementation is necessary, in a varied and balanced diet. Vitamin E, or tocopherol, is a fat-soluble antioxidant vitamin that protects cells from the damage caused by free radicals. For what is considered key in any anti aging program. The free radicals are formed internally routinely to metabolize food, resulting in cellular oxidation and oxidative stress. But they are also generated by external factors: exposure to solar radiation (ultraviolet), other ionizing radiation (Wi-Fi, image tests, radon -gas emitted by granite houses-), pollution (pesticides, tobacco, alcohol, xenobiotics, poly pharmacy), chronic stress, stressful situations (infection, inflammation, anxiety), poor sleep quality, nutritional deficiencies of trace elements (vitamins C, E, beta-carotene, manganese, zinc, copper and selenium), perform high performance sports or excessive consumption of fried foods. The body also needs vitamin E to stimulate the immune system and cope with the external aggression of viruses, bacteria or fungi. It also helps to dilate blood vessels and prevent the formation of blood clots. At the level of cardiovascular health it is very important to maintain an adequate level of antioxidants, since it prevents the cholesterol from oxidizing, detaches from the atheroma plaque of the blood vessels and causes a thrombus. The total cholesterol level is not as important as that of oxidized cholesterol. Some studies relate the higher consumption of vitamin E supplements with a lower risk of cardiovascular disease. However, more studies are needed to validate this hypothesis and the necessary dose. Because of its antioxidant effect, it is believed that vitamin E can reduce macular degeneration associated with age , but more studies are needed to establish the prevention and treatment protocol when the disease has already appeared. Similarly there are several lines of research on the prevention of other degenerative diseases such as Alzheimer’s and Parkinson’s, but scientific evidence is still lacking. Vegetable oils, for example, wheat germ, sunflower, corn, soybean and canola oils. Seeds such as sunflower seeds, pumpkin, sesame, pine nuts. 100 g of sunflower seeds, exceed the daily requirements of this vitamin. The nuts like hazelnuts and almonds. 100 g of almonds means 21 mg of this vitamin. Green leafy vegetables, such as spinach, Swiss chard, mustard greens and broccoli. Foods fortified with alpha tocopherol. Vitamin E deficiency is rare in the healthy population. It is usually associated with a poor intestinal absorption of fats (because it is a fat-soluble vitamin), as occurs in cystic fibrosis or inflammatory bowel diseaseor genetic pathologies such as “abetalipoproteinemia” and ataxia with deficiency of vitamin E The digestive system needs some fat to absorb vitamin E.
The symptoms of vitamin E deficiency are immune compromise, loss of sensation in arms and legs, muscle weakness and vision problems. The vitamin from natural sources is more potent than the synthesis, for example 100 IU of natural vitamin E is equivalent to about 150 IU of the supplement. Vitamin E from natural sources (food) is listed on the labels of food and supplements as “d-alpha-tocopherol”, while the synthetic (laboratory) usually appears as “dl-alpha-tocopherol”. Other supplements usually contain other tocopherols such as gamma-tocopherol, tocotrienols and mixed tocopherols, although there is no consensus on their efficacy. While consuming vitamin E present in food is not dangerous or harmful, mega doses in the form of supplements, could have side effects such as bleeding, a greater oxidative effect and even an increased likelihood of prostate cancer. Therefore, a limit of 1500 IU / day has been established for natural vitamin E supplements and 1100 IU / day for synthetic vitamin E supplements. Most multi nutrient supplements provide about 30 IU of vitamin E, while nutritional supplements of vitamin E usually provide 400-1300 IU, which exceeds the recommended daily amounts. Although some studies have linked the importance of vitamin E and consumption of supplements with a lower risk of heart disease, more studies are needed to validate this hypothesis and the necessary dose. Other double-blind studies have shown no benefit. Concluding that vitamin E supplements do not help prevent heart disease, reduce its severity, or affect the risk of death. It would also be interesting to test whether high levels of vitamin E could protect the heart of younger, healthy people who are not at high risk of heart disease. Although a reduction in bladder cancer death (associated with smoking and a greater degree of oxidative damage) has been reported after 10 years of supplementation, most studies indicate that vitamin E does not help prevent cancer and may even be harmful in some cases. Studies in breast and colon cancer have not shown benefits with doses of 300-400 IU / day. Another study detected an increased risk of prostate cancer after the intake of 400 IU / day of vitamin E. For several years increased the risk of prostate cancer in men. There is much contradiction about the role of vitamin E in the prevention and treatment of cataracts and macular degeneration associated with age. It is believed that the intake of a diet rich in antioxidants offers protection and that supplementation can slow down the progression of these pathologies, but a little more research is needed to reach consensus. It is advisable to consult with your nutritionist, pharmacist or doctor if you are taking any nutritional supplement and you have to take some medication. Vitamin E could increase the risk of bleeding in people to treatment with sintrom or other anticoagulants. A scientific study warned that if several antioxidants are taken together such as vitamin E, C, beta carotene and selenium, the effect of hypolimemic treatment (statins) is reduced. The consumption of antioxidant supplements during chemotherapy or radiotherapy against cancer could affect the effectiveness of these treatments.